ASHYA KING, WHOSE parents were arrested for removing him from a British hospital against medical advice, will fly to Prague for cancer treatment by Monday, the family’s lawyer has said. A judge in England has authorised the family of the seriously-ill boy to move him from a Spanish hospital to the Czech capital after a week-long saga in which the parents were jailed in Spain before being freed amid a flood of public sympathy. “Everything is ready for him to be transferred” to Prague, the family’s lawyer Juan Isidro Fernandez told reporters today. “We think it will all happen between now and Monday at the latest,” he said at the Maternity and Children’s Hospital in the southern Spanish city of Malaga where Ashya has spent the week. Brett King, 51, and his wife Neghemeh King, 45, triggered an international manhunt when they took their five-year-old son out of hospital, rejecting treatment they believed would turn him into a “vegetable”. They were arrested under an extradition warrant for fear that Ashya’s health was in danger, but British prosecutors later dropped the case, deciding that his parents had looked after him properly. Ashya recently underwent surgery for a brain tumour in southern England. His parents now want him to undergo an alternative treatment called proton beam therapy at the specialist centre in Prague. “The proton therapy treatment will start as soon as possible. All that remain are the bureaucratic procedures concerning how he will go there,” the lawyer said. He said the family had yet to decide whether to fly Ashya in a private plane with medical attendance or to accept an offer by the Prague clinic to send a medical plane to Spain to collect him. Ashya, whose condition is now stable, was placed under the legal custody of an English court after his parents were arrested. A judge lifted that ruling yesterday clearing the way for Ashya’s parents to move him from Spain. “He is very happy. He has toys and is playing with his mother and father and we want the best for him,” Fernandez said. Email “Ashya King to be flown to Prague for cancer treatment by Monday”. 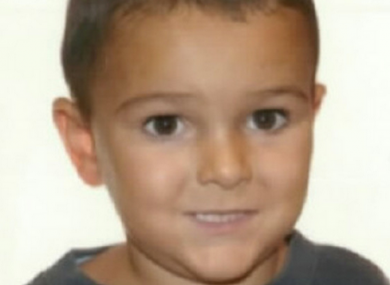 Feedback on “Ashya King to be flown to Prague for cancer treatment by Monday”.